Mercedes-AMG will present its outlook on a compact, high-performance SUV at the 2013 Los Angeles International Auto Show. 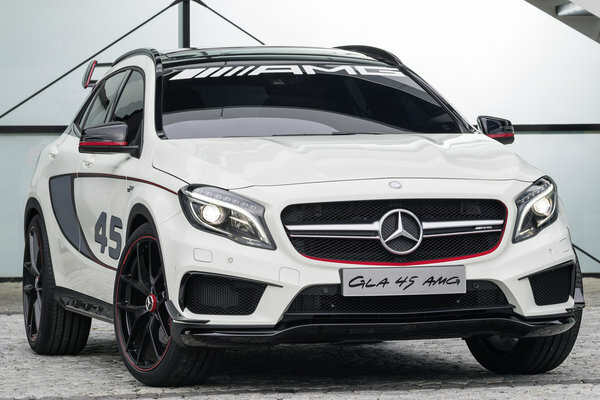 The Concept GLA45 AMG features an excitingly bold, distinctive design and is powered by the most muscular four-cylinder engine in series production anywhere in the world: its AMG 2.0-liter turbocharged engine with an output of 355 hp (265 kW) and maximum torque of 332 lb-ft of torque offers unrivalled performance in conjunction with low fuel consumption. Tobias Moers,...Read.